My Mother in law made this and it is wonderful and it is so super easy. Peel and slice apples into 1/2 inch wedges, and coat apples with cinnamon and sugar. 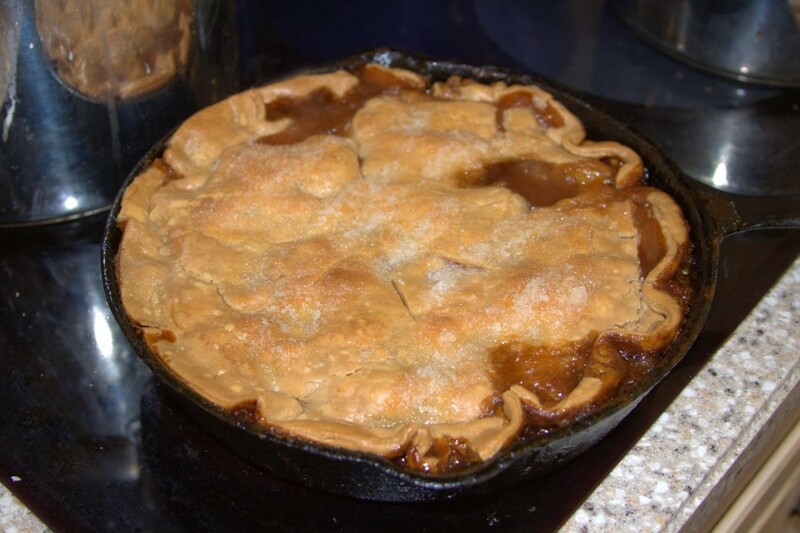 Melt butter in a 10 inch cast iron skillet, add brown sugar to skillet until sugar has dissolved. 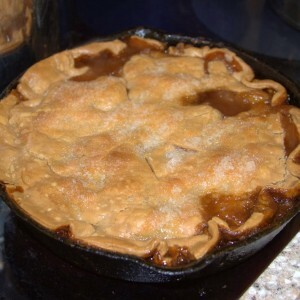 Remove from heat and put one pie crust in the bottom of the skillet over the brown sugar. 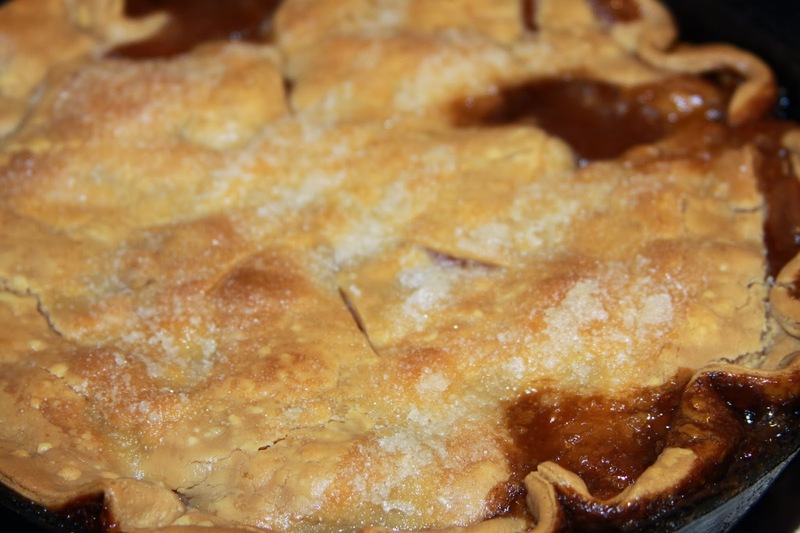 Then layer the apple mixture over the pie crust, and top with the second crust. Whisk egg white until frothy and brush the top of the crust with the egg and sprinkle top with a dusting of sugar. 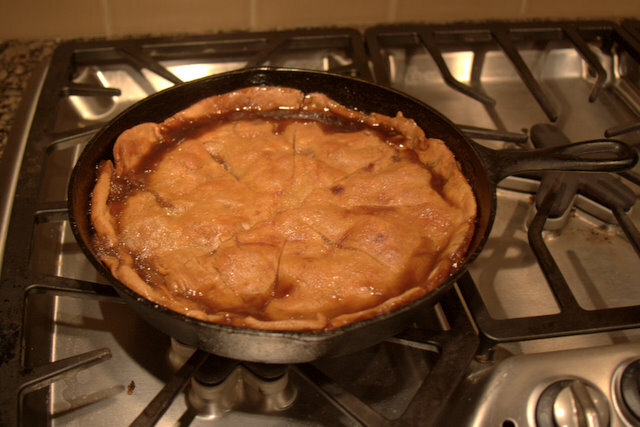 Bake at 350º for 1 hour to 1 hour and 10 minutes or until golden brown and bubbly, cool 30 minutes before serving. Serve with ice cream.